You may remember a few days ago Mundo Deportivo ran a story claiming we’d made a big bid for Marco Asensio. The Spanish outlet claimed at the time that Liverpool had made an offer worth a staggering £158million for the Spain international. While it sounds pretty unbelievable, it came from a reasonably reliable source, and there’s been an update since then. This, however, may not be too much to get over-excited about as it comes from the rather dodgy Don Balon, though they state Real are prepared to sell us Asensio. They claim this is because Florentino Perez wants funds to bring in Neymar from PSG, which is not beyond the realms of possibility, of course. Still, the somewhat puzzling thing from this piece is that Madrid would supposedly accept just £132m for the 22-year-old, which makes no sense if we have indeed offered more. 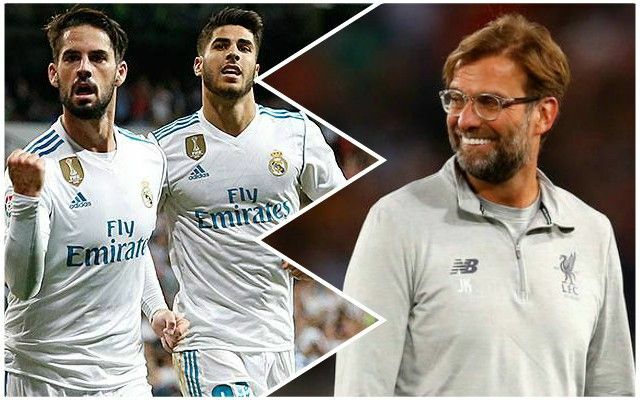 In truth, it’s hard to imagine us paying either of those kinds of fees, even for a player of Asensio’s quality and even if there is cash left over from selling Philippe Coutinho in January. Prior to this, we were notably linked with Nabil Fekir for just £53m (as per the Echo), so that surely gives an indication into how much we’re seeking to spend in that area of the pitch.